Trade show season is well underway for the lighting and design industries! There seem to be industry events and home show exhibitions almost every week. With exhibits to construct, new products to “display” and awards to be won, this is a very busy time for lighting designers and manufacturers. Here at Lightology, we have the delightful job of taking it all in and finding the very best of what’s on offer. We’d like to extend our sincerest congratulations to the winners and finalists of the 2013 LFI Innovation Awards, held April 21 – 25 at the Lightfair International Trade Show & Conference in Philadelphia, PN. A special congratulations to Philips, Pure Edge Lighting, Tech Lighting, Juno Lighting, Osram Sylvania, Lighting Science Group and WAC Lighting. Philips took home the “Most Innovative Product of the Year” title for its new Boldplay linear architectural LED, which also won the ‘Commercial Indoor Product’ category. 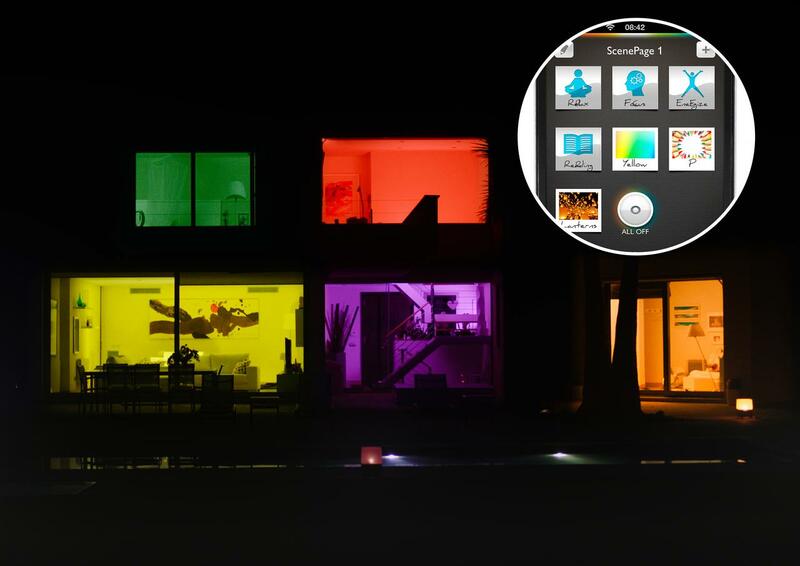 The Philips Hue personal lighting system won the Judge’s Citation Award and also won the ‘Dynamic Color, Theatrical, Cove, Strips and Tape’ category. Philips was also a finalist in the ‘Controls, Building Integration, Site Automation and Distribution Systems’ category for the Color Kinetics IntelliPower. Congratulations, Philips, for such a fantastic year at Lightfair! Combining minimalist design with state-of-the-art technology, Pure Lighting produces unparalleled, innovative lighting that blends seamlessly into drywall or plaster to become part of the architecture. Pure Lighting’s Truly Trimless recessed fixtures feature advanced LED and LED RGB technology within concealed lighting components to provide a clean, glare-free look ideal for commercial or residential applications. Founded in 1976, Juno Lighting Inc. is one of the largest designers and manufacturers of recessed lighting and track lighting. Their high quality, well-engineered and attractive fixtures are easy to install and suited for a wide range of residential, commercial and retail applications. Osram Sylvania offers light bulbs, transformers, power supplies and other lighting products in its commitment to make our world more comfortable, more productive and more imaginative. Osram Sylvania’s lifestyle solutions are suited to homes, businesses and institutions, automobiles and a broad range of specialty applications. Originally established as a leading designer of architectural lighting, the Tech Lighting brand has since evolved to offer an expansive selection of lighting solutions for both residential and commercial applications, including low- and line-voltage decorative pendants, chandeliers, wall sconces, bath bars and bath lighting, directional track heads, ceiling fixtures and picture lights. Lightfair is co-owned by the Illuminating Engineering Society (IES) and the International Association of Lighting Designers (IALD). AMC, Inc. produces and manages the annual event. For more information and a forcomplete list of this year’s LFI Award winners and finalists, visit Lightfair International online. really liked every part of it and i also have you saved to fav to look at new things on your site.